Top manufacturers from the wind turbine blade industry and turbine makers will be discussing and presenting their latest developments at the 9th annual conference on Wind Turbine Blade Manufacture 2018, later this year in Germany. The event will take place from December 10 to 12, at the Maritim Hotel in Düsseldorf. The conference will kick off as usual with a market analysis by Cristina de Santos, energy and infrastructure unit manager with AMI Consulting. This year, the presentation will summarise the main conclusions of AMI Consulting’s 2018 research on the industry. China continues to be the largest blade manufacturing country in the world, with market leader Sinoma Wind Power Blade Co Ltd accounting for over 7 per cent of global blade production in 2017. AMI is honoured to host Sinoma as it delivers its first presentation at a European event on the key challenges facing Chinese blade suppliers. Innogy, one of Germany’s leading energy companies, will also provide delegates with an overview of rotor blade requirements from an operator’s point of view. Blade length will also be up for discussion. Longer blades increase rotor swept area, optimising power output per turbine. This continues to be crucial for decreasing the cost of energy production, though it has also presented the industry with design and manufacturing challenges. LM Wind Power, a leading blade manufacturing company in the world, will share its view on these issues. The session will also feature presentations from Winfoor, Fraunhofer and Nordex. Winfoor, a spin-off from Lund University in Sweden, will present an innovative potential solution to the production and shipping challenges faced by blade producers trying to meet the demand for ever growing blade length. Fraunhofer, Europe's largest application-oriented research organisation, will explain why they recommend open source CFD as a way of improving blade design. Finally, Nordex will close the session with an analysis of the increasing strength requirements for blade root connection. With the industry continuing to be labour intensive, testing and quality control are also important in reducing energy costs. R&D Test Systems A/S, a Danish engineering and consulting company, will present on single and multi-axis fatigue testing for large blades. Applied Polymer Developments (APD), the British centre of excellence for the development and testing of composite materials, will introduce FTIR spectroscopy as a tool for quality control. Material innovation is another topic covered, with Gurit introducing its new core materials for blade weight, cost reduction and sustainability. In addition, attendees will benefit from a better understanding of existing materials thanks to a combined paper authored by the DTU and Dr Povl Brøndsted, a well-known expert in the wind blades composites market. Fatigue degradation mechanisms in composite materials used in blade production will be explored. Blade manufacturing and potential production efficiencies, the core focus of the conference, are also fundamental when analying the cost of energy. And it is clear that the longer the blade, the more complex the manufacturing challenge. The second day will begin covering this topic with a session chaired by Dr. Povl Brøndsted. The first presentation of this session, delivered by Danish company MHI Vestas Offshore, will share the main implications on the design of offshore blades when taking into consideration the challenges faced during the production phase. In addition, the world’s second-largest independent blade producer, TPI Composites, will share their latest developments on the optimisation of wind turbine blade manufacturing processes using optical project systems. One area that has seen significant change in recent years is the production of spar caps, with an increase in the use of pultrusion. An assessment of business cases and challenges regarding the use of pultrusion will be shared by STRUCTeam, a British technology consultancy offering services within composites application markets. Automation and Industry 4.0 have played a significant role in the development of other sectors, and these concepts also appear to offer avenues for further decreasing the cost of wind energy. Vestas, a global blade producer well-known for its continued focus on innovation, will examine wind turbine blade digitisation. Following this, the introduction of data generated by sensors installed for the monitoring of leading edge erosion and analysis of top coating performance will be covered by Aerox Advanced Polymers and the University CEU Cardenal Herrera. The session, one of two chaired by Mr. Sandro Di Noi, R&D manager for Suzlon, will be closed with an update from Sandia National Labs on its robot-deployed wind blade monitoring system. Another driver of lower energy costs is improvement in the service life of blades. As the industry matures, more historic information on blade failure is becoming available. Analysis of this data is vital for the continuous improvement of blade design and production. 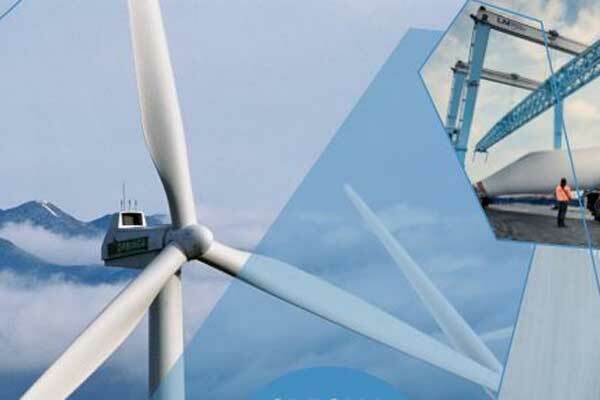 DNV GL will share its root cause analysis on blade failures. This will be complemented with a big data analysis of rotor blade damage, presented by WKA Blade Service, a German company with extensive experience of blade repair and maintenance services.